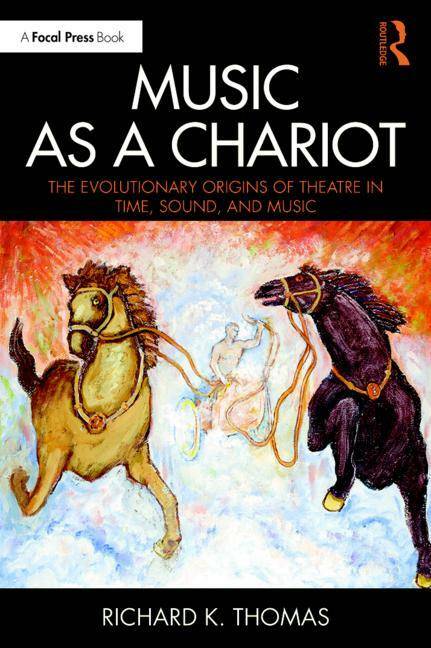 We caught up with Richard Thomas to discuss his new book, Music as a Chariot. Read on for our exclusive interview to find out what inspired Richard to write the book! Congratulations on the publication of your book, Music as a Chariot, what do you want your audience to take away from the book? Hopefully, my audience will never listen to a song, see a movie, or experience theatre again without being more actively aware of how artists are using music to carry the important ideas into their hearts. Songs and theatre are such important media because they vastly transcend the purely intellectual communication of ideas and help us understand both ourselves and others by letting us “walk a mile in their shoes”. What first attracted you to Theatre as a type of Music as an area of study? When I started grad school at Purdue University in 1976, I was interested in studying psychoacoustics. My major professor sent me over to the audiology department, and there, for the first time, I learned what academic research really meant. But I really didn’t want to spend my life testing “whether the tone is louder in your right ear or your left ear”! So, I went to the library and found a treasure trove of influential books such as Carl Seashore’s The Psychology of Music, and Fritz Winckel’s Music, Sound and Sensation. I wrote the first draft of Music as a Chariot for my Terminal Project between 1976 and 1980, and developed a companion class, THTR 363 Introduction to Sound Design, at Purdue around my explorations. I’ve been studying the subject ever since, and honing the techniques I describe in the book. What audience did you have in mind whilst writing the book? I have discovered in teaching the material from this book for over forty years that there are three distinct audiences for this book. The most immediate audience, of course, is composers and sound designers for theatre and film. But along the way, a funny thing happened. Directors, visual artists, film and theatre theorists and others heard about my class, and wanted to sit in, and then wanted to take it. I discovered that the subject matter of Music as a Chariot appealed to just about anyone who had a creative influence in theatre. This should come as no surprise, as we discuss music very broadly in the book, including its visual manifestations. Later, I discovered that the audience for this book extended beyond those who created the art. 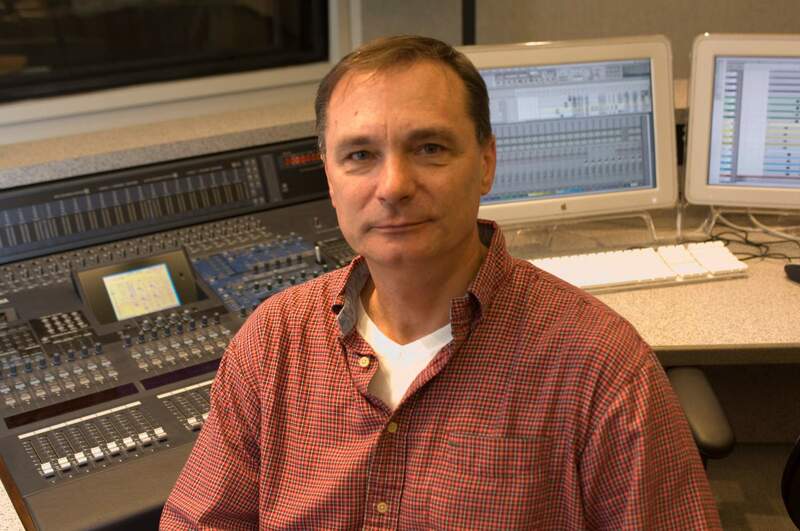 There are many audience members out there who crave a deeper understanding of how music works in production. In 2016, I taught my first class of Music as a Chariot to a group of interested Honors students who were neither theatre majors nor music majors. And so, I’ve discovered that the book has a third distinct audience: those who are just curious about how music works when we attach ideas to it. Because I’ve targeted the book at such a diverse audience, I wanted to make sure that I wrote in a conversational manner. I wasn’t hoping to simplify complex concepts, but to explain complex concepts simply. As Einstein famously remarked, “If you can’t explain it to a five-year old child, you don’t understand it yourself very well.” I recorded my lectures, both to my classes and at conferences and international gatherings for years. I went back and transcribed the lectures, always looking for those keen spur-of-the-moment examples and phrasings that helped the audience connect better with the material. Eventually I distilled the best of them into Music as a Chariot. What is the most significant idea which formed the book? Is there anything controversial about it? The most significant idea which formed the book is its fundamental premise: that theatre is a type of music. I first became frustrated with the way we teach theatre when I started having students in my sound design classes who were unable to put into words the essential experience of a play or production. I realized that they had been indoctrinated with the idea that good plays had “messages” from their earliest encounters with play analysis, probably in grade school. They had a serious disconnect from their often-extraordinary experience of theatre and the way they were taught to analyse it, which typically sucked the life right out of the play! I wanted to help them find a way into theatre that did not trivialize the experience they had. Music as a Chariot is my exploration about what that essential experience is. It is at once, controversial, and, when you stop to think about it, somewhat self-evident. Without a doubt, researching in scientific fields that are not native to me, such as anthropology, archaeology, neuroscience, evolutionary biology, etc. Each field has its own language and terms that must be learned in order to fully discern the theories proposed. And every field has its own controversies. My task was never to add to these fields, but to distil the major ideas I came across that pertained to Music as a Chariot and weave them into the narrative of this book. This always felt like a dangerous challenge. On the one hand, I feared that I either had not interpreted the research correctly, or that I might be missing a competing important theory, or that by the time my book is published, new insights would be gained that profoundly changed the connections to my subjects. But as an artist, and a humanist, I cannot help but wonder what use all of this extraordinary knowledge being gained in the sciences is, if we can’t put it to use in a more holistic way to understand the world in which we live. So, I took the risk, realizing that mistakes can be corrected, ideas can evolve, and others may find the subject so interesting that they will also feel compelled to contribute to the discussion from their own area of specialty. What is innovative about your book? Without a doubt, it’s my insistence upon connecting theory with practise. I have learned from my classes that students become a lot more engaged and interested in the major ideas of the book when they have inspiring projects to help them explore those ideas. The projects at the end of each chapter help to viscerally connect the students to the ideas. I run into the avocational students from the 2016 non-film/theatre/music artist class, and they are always quick to tell me how much they think about the class whenever they go to the movies, listen to a song, etc. Some quite freely offer that Music as a Chariot changed their lives. The ideas are important, yes, but when you combine them with the experience of music, your life will be forever changed.